When it comes to Indie games some of the most popular types are those that involve the player exploring deep caves and fighting beasts with a mission to collect something of value. It gives you that urge to go ever deeper and a wonder of what lurks around the next rock face. 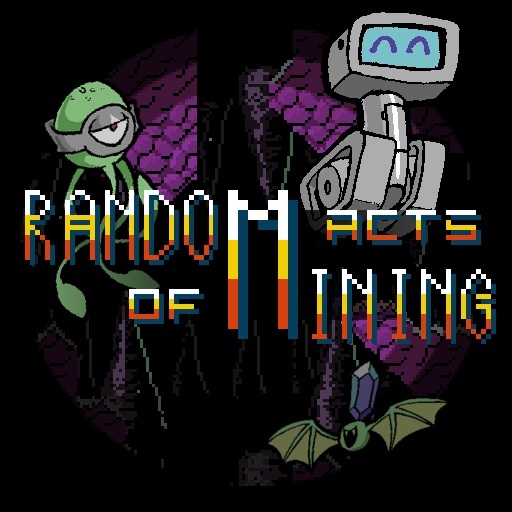 As such, here we are with 'Random Acts of Mining'; a game that involves a Robotic Underground Treasure Hunter as she navigates her way through dangerous randomly-populated subterranean environments to procure precious gems and acquire valuable wildlife specimens that was lost in an accidental teleport! With a hint of retro, as one person puts it " It feels like a C64 game ", Random Acts of Mining is a fun looking little gem of an arcade style exploration title, which features both shooting action and item collection throughout a rather dark underground cavern. However as of yet we don't have a firm release date, but the developers are hoping for your Steam Greenlight votes and if successful will be available for the PC at some point soon.